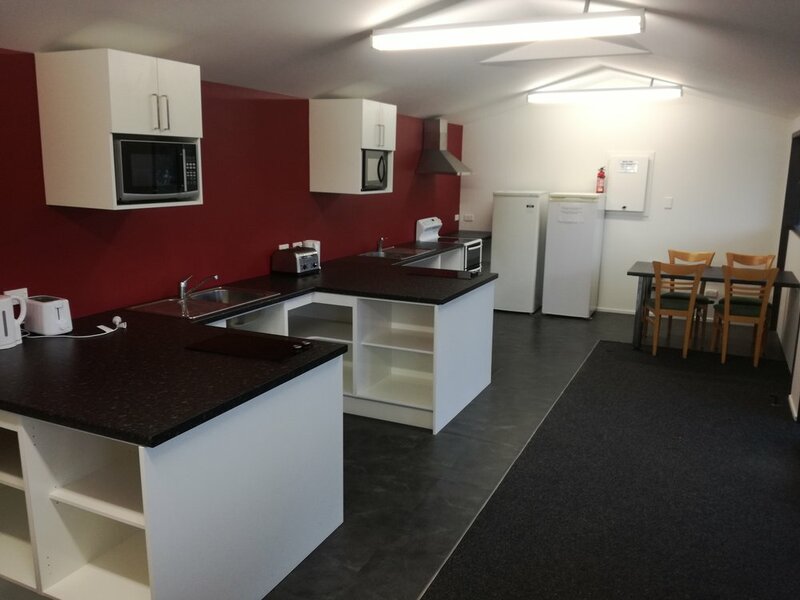 We have 3 Kitchens on site (one New in 2017) containing fridges/freezers, ovens, cook tops, microwaves, jugs and toasters available for your use. While we don’t stock the kitchens with cooking equipment and eating utensils, we do have spare parts available for free to borrow at Holiday Park reception. We also have 3 Shower/Toilets Blocks on site. Our showers are token operated, and you will receive some free on check in. If any more tokens are needed you can purchase them for just 20 cents. We have handicap accessible Showers and Toilets available too. A converted shipping container with Freeview TV is available, and plenty of power points for charging your Laptops, Tablets and Phones. Our Laundry is Located at our middle block with coin operated washers and dryers that use $1 and $2 coins with sachets of laundry soap available from reception.